Newfoundland's decision to raise a regiment to fight in the First World War created many challenges connected to training and outfitting the men. Not even the most basic of military supplies existed for the new recruits. Rifles were in short supply, and so were machine guns, revolvers, binoculars, and almost every other piece of equipment needed to send a 500-man infantry unit to war. A lack of khaki material was a problem, and another was a shortage of qualified instructors for the training camp. Courtesy of the Rooms Provincial Archives Division (E 37-41), St. John's, NL. The equipping and training of the Newfoundland Regiment proceeded in an ad hoc manner. As the Newfoundland Patriotic Association (NPA) strove to secure the necessary accommodations and supplies for recruits, it was often aided by donations from the public and business community. When the first contingent of recruits set sail for England on October 4, 1914, they did not have proper headgear, they wore blue instead of the regulation khaki puttees, and their rifles were still on order from Canada. Nonetheless, by the end of the war the Regiment had evolved from an ill-equipped and inexperienced group of civilians into a respected and decorated military unit. 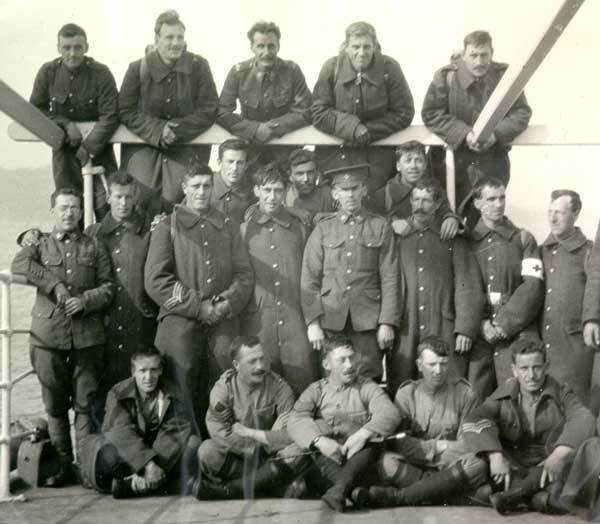 After recruiting opened on August 21, 1914, the NPA scrambled to prepare a training ground for the approximately 500 men who would join the Newfoundland Regiment. Its Equipment Committee selected a cricket field near Quidi Vidi Lake in St. John's to serve as a military camp. Government, businesses, local church brigades, and private citizens provided most of the tents, although some still had to be made from sails donated by vessels in the harbour. The Anglo-Newfoundland Development (AND) Company in Grand Falls provided wooden tent floors and the Anglo-American Telegraph Company installed telephones. The first recruits arrived on September 1 and by the end of the month all 565 were under canvas. Courtesy of the Rooms Provincial Archives Division (F 63-15), St. John's, NL. The NPA had to appoint instructors and officers to train the men, but finding qualified personnel posed a significant challenge. Few Regiment volunteers had any military experience. Conn Alexander was a retired British officer who had served in the Anglo-Boer War. 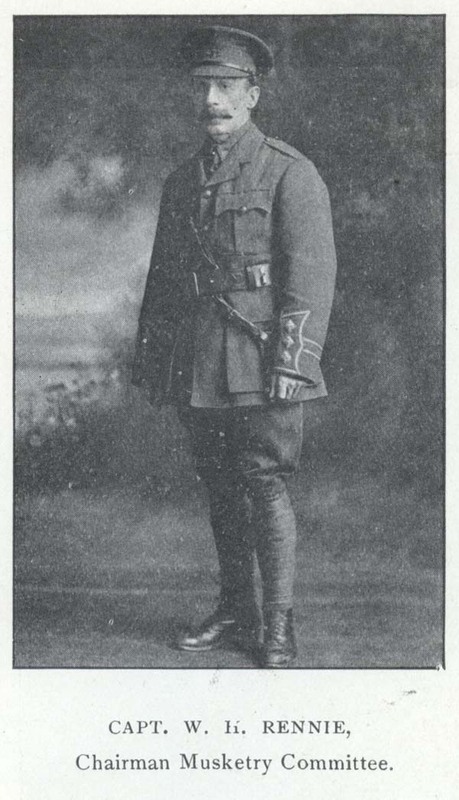 He had been visiting Newfoundland when the First World War broke out and accepted a commission in the Regiment. Three men volunteered for the NPA's Musketry Committee: William Hoyles Rennie, treasurer of the St. John's Rifle Club; Joseph Moore, a retired soldier with 21 years of service in the British Army; and Captain H. Ballantine Dykes, an officer with the British reserve who was vacationing in Newfoundland when the war broke out. They were responsible for the selecting and training of musketry instructors. The NPA also placed Dyke in charge of drill training. For the rest of September, the recruits studied the basics of military service. They went on foot marches, learned how to use bayonets and other weapons, practiced marksmanship and skirmishing, followed a physical fitness routine, and acquired the basic skills of being a soldier. 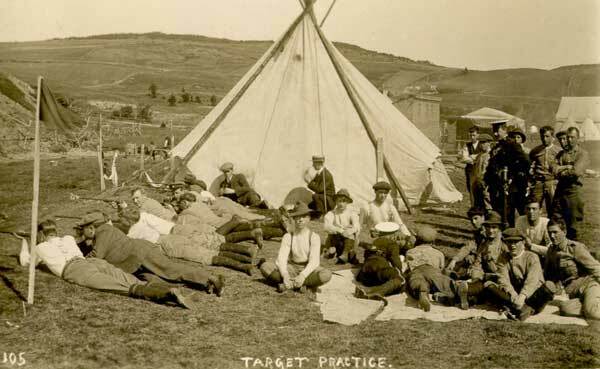 Their training was largely confined to three areas: the military camp at Quidi Vidi Lake, a rifle range on the south side of the harbour, and an area just east of Quidi Vidi, known as White Hills, where the men practiced skirmishing. They also marched through the city streets. There was widespread public support for the Regiment and crowds frequently gathered at the military camp to watch recruits train. There were times, however, when military and civilian activities clashed. The rifle range was near a popular blueberry patch and training began at the peak of the berry-picking season. 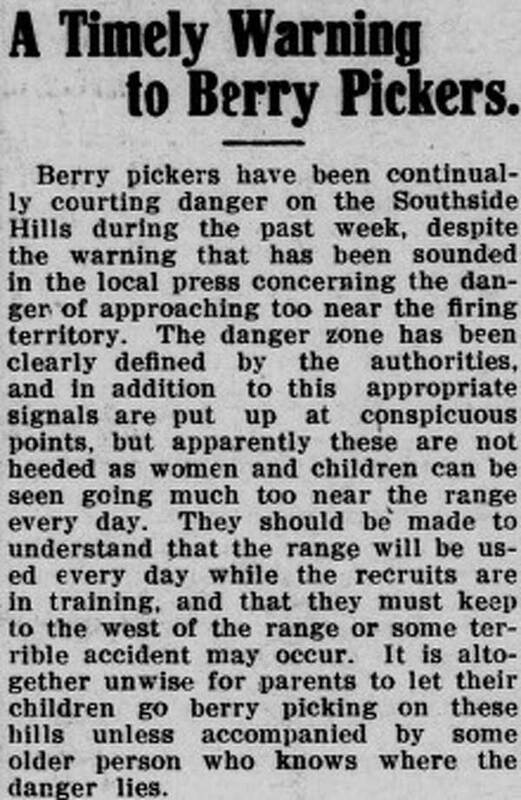 Notices appeared in local newspapers warning berry-pickers to avoid the firing zone. Evening Telegram September 8, 1914, p. 5. One of the NPA's most pressing problems was how to secure the weapons, uniforms, and other equipment that the Regiment would need for training. Newfoundland had little in the way of military resources, so rifles and other arms had to be imported. The Musketry Committee ordered 500 Ross rifles from Canada and 100 revolvers from England. The NPA also had to send away for other items, including binoculars and kit bags. The revolvers arrived on August 29, but the rifles did not arrive until one day after the recruits departed Newfoundland for England. Courtesy of the Rooms Provincial Archives Division (VA 37-5.4), St. John's, NL. In the meantime, the NPA scrambled to assemble enough arms to prepare the men for service. The Newfoundland Royal Naval Reserve loaned the Regiment some service rifles and ammunition, and the church-sponsored cadet corps provided some miniature rifles for target practice. The NPA solicited public donations to its Machine Gun Fund to pay for the expensive Vickers machine guns. In January 1915, the Reid Newfoundland Company donated two Vickers guns to the Regiment, while proceeds from the gun fund paid for six more later that year. Clothing was another challenge. Woolen leg coverings called puttees were a basic part of every soldier's uniform, but only a small amount of the regulation khaki material existed on the island. The NPA substituted blue instead and the non-standard leg gear became a badge of distinction for the first 500 recruits, who became forever known as the Blue Puttees. A shortage of military headgear also forced early recruits to use civilian hats or go bareheaded. The NPA ordered Australian-style slouch hats from Montreal, but they did not arrive before the first recruits left the island. On October 3, 1914, 538 Blue Puttees (different sources provide slightly varying numbers for the "First Five Hundred" recruits, ranging from 525 to 546; 538 is the number of men the Evening Telegram listed on 24 October 1914) marched to the St. John's waterfront and boarded the steamer Florizel, which departed the next day. Thousands of people lined the streets to say farewell to the troops. Bunting hung from windows and marching band music filled the air. 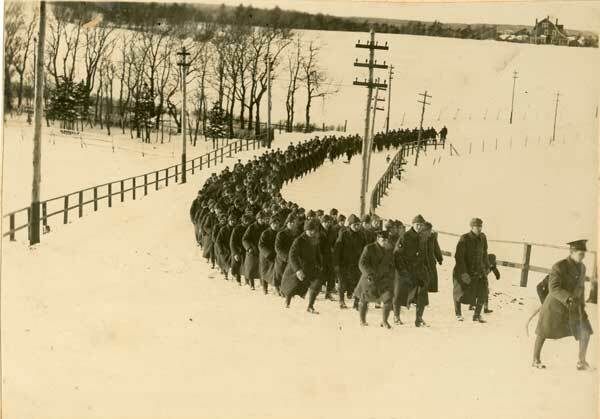 The men had completed the St. John's portion of their training and were travelling to the United Kingdom, where superior facilities and more experienced military personnel could better prepare them for war. Courtesy of the Rooms Provincial Archives Division (B 35), St. John's, NL. They arrived at Salisbury Plain in southern England on October 21 and spent the next seven weeks at a large military training camp. "Route marches, unending platoon drill, and spasmodic instruction in the rudiments of musketry were the order of the day," Captain John Edward Joseph Fox later wrote for The Veteran magazine. Thousands of recruits from many other units were also at Salisbury Plain and the experience gave the men of the Newfoundland Regiment a first glimpse of just how large the war really was. On December 8, the unit moved to Fort George in northern Scotland for further training. It lost its first soldier there when Private John Fielding Chaplin died from an abdominal disease on New Year's Day. He was 19 years old. While the First Five Hundred were training in the United Kingdom, the NPA was recruiting men for the second contingent of the Newfoundland Regiment. By then, the association was better equipped to outfit and train volunteers. Khaki material had arrived in sufficiently large quantities and there were many more rifles, machine guns, and other equipment at the Regiment's disposal. Courtesy of the Maritime History Archive (PF-345.030), Memorial University of Newfoundland, St. John's, NL. The second contingent and subsequent recruits followed a training routine that was similar to the First Five Hundred's. They did preliminary training in St. John's and then spent several weeks of additional training in the United Kingdom before entering active service. The Image Gallery features images showing the Regiment in training at Pleasantville. There are also images of the First Five Hundred and subsequent groups marching in St. John's, and embarking for further training in Britain. Short video clips from the time period are included.